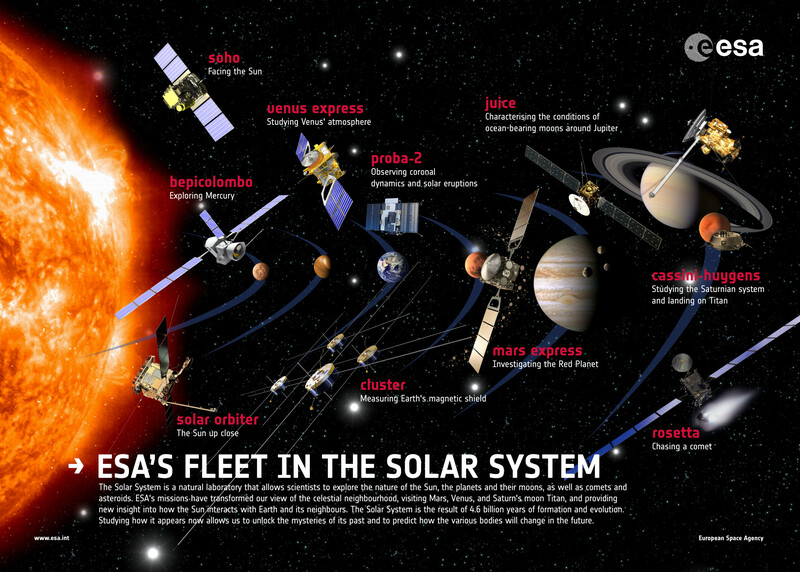 Several members of the Science Faculty at ESTEC carry out research in the field of planets, with emphasis on the use of data from ExoMars 2016, Mars Express, Venus Express, Cassini-Huygens, Chandrayaan-1, and Smart-1, as well as from other relevant facilities. Investigations related to the preparation of the Bepi-Colombo, ExoMars 2020 and JUICE missions are also supported. Planetary surfaces (Moon, Mars, Mercury), including mapping, geology, spectroscopy, petrology, impact craters, stability of ices, sample return and astrobiology. Planetary atmospheres, ionospheres, magnetospheres, solar wind interactions (Mercury, Venus, Mars, giant planets). This web page is managed by Olivier Witasse at ESTEC.